The Stylist’s Rail is the ultimate pop-up shopping experience where vendors are a curated collective of London’s top stylists, including exciting, independent and vintage labels who have recently taken up residency at Fairground, London’s hippest new hangout and three-floor cultural emporium. 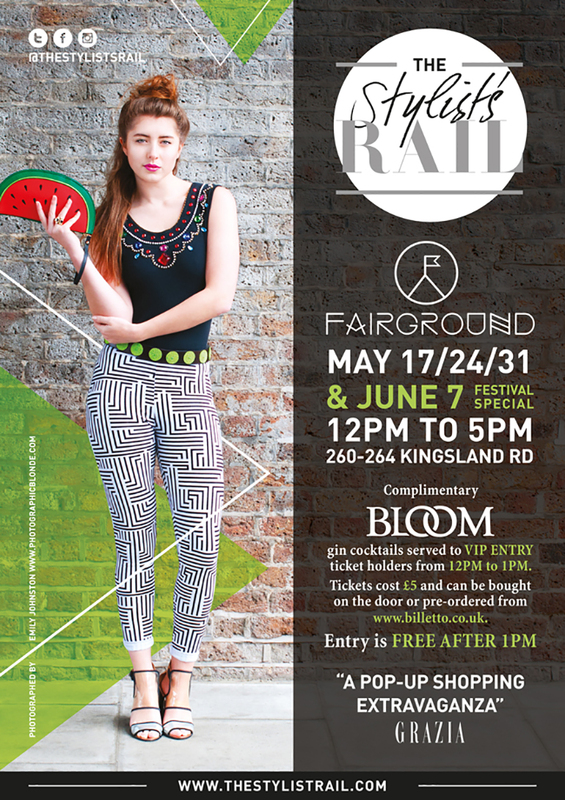 Together they are offering the ultimate shopping experience accompanied by mouth watering street food vendors, a fabulous cocktail bar supported by Bloom Gin and live DJ’s from Hoxton Radio. Recently I had the pleasure of collaborating with Victoria Plum, the founder and creative Director of The Stylist’s Rail, on a shoot to show off the crème de la crème of what The Stylist’s Rail has to offer and produce their marketing material including a poster, created by The Creative Arms, advertising their four week residency at the Fairground which culminates on Saturday 7th June with a festival special. Shoppers can expect to browse and buy directly from the wardrobes of fashion editors and stylists who have included the likes of Grazia, Company, Red, Vice and Wonderland and take advantage of fashion gems from labels such as Chrisopher Kane, Holly Fulton, Christian Louboutin, Moshino and Chanel, alongside a selection of up-and-coming designers and vintage experts must have’s and accessories, all at an excellent price. 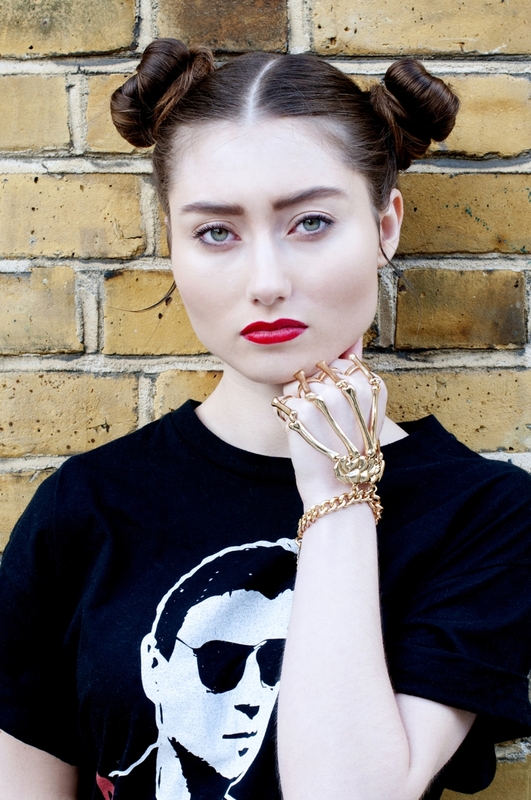 The shoot took place at the Fairground and surrounding Haggerton area in East London. We photographed 10 looks, on our three lovely models Alexandra, Sophie and Emma, show casing some key pieces from The Style Merchants, Bohemian Rose Vintage and Nikita Karisma.